The City’s original wastewater treatment plant with overland flow fields and constructed wetlands was built in the 1990s. The wetland speciation changed significantly over time and resulted in violations of ammonia from the plant effluent. As a result, the City ultimately entered into a consent order with the Georgia Environmental Protection Division for non-compliance of the existing 1.5 MGD overland flow constructed wetlands treatment plant that required the design and construction of a new treatment facility. As the Engineer of Record for the City’s original wastewater treatment plant, Hussey Gay Bell was once again engaged by the City to provide overall planning, design, permitting, and construction oversight services for the new plant to replace the existing plant which had exceeded its useful life. As the largest single expenditure in the City of Richmond Hill’s history, Hussey Gay Bell was able to assist the City with securing $500,000 of direct loan forgiveness from GEFA via green credit by embracing energy efficiency through the design of VFDs, blower automation and gravity flow through membranes. Completed in 2016, the Sterling Creek project generally consisted of the planning, design and construction of a new 4.0 million gallons per day (MGD) five-stage biological nutrient removal and membrane bioreactor (MBR) plant. 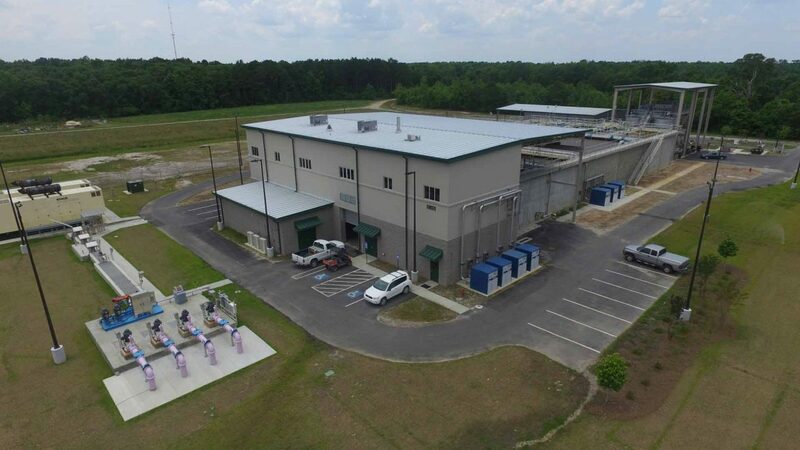 The new plant, an Ovivo Kubota flat plate MBR system and the first of its kind in coastal Georgia, is able to treat up to 3 MGD – double its previous capacity of 1.5 MGD. By installing additional membrane cassette equipment, the plant can readily expand to 4.0 MGD, which the City is already permitted for. The plant utilizes several steps in treating sewage including biological treatment and solids separation via the membrane bioreactors. Treated effluent from the new facility is pumped to the City’s current outfall location at Elbow Swamp, as well as reused to sustain the isolated constructed wetlands system. The Sterling Creek design included an influent lift station, rotary drum fine screens, vortex grit removal system, anaerobic, anoxic and aerobic basins, MBR basins, ultraviolet disinfection system, effluent pump station, septage receiving station, aerobic digestion with membrane thickening, belt filter press dewatering and solids handling facility, and drain lift station. Additional design features included internal equalization through feed forward design, SCADA, control building, chemical storage and feed system, plant water and irrigation system. 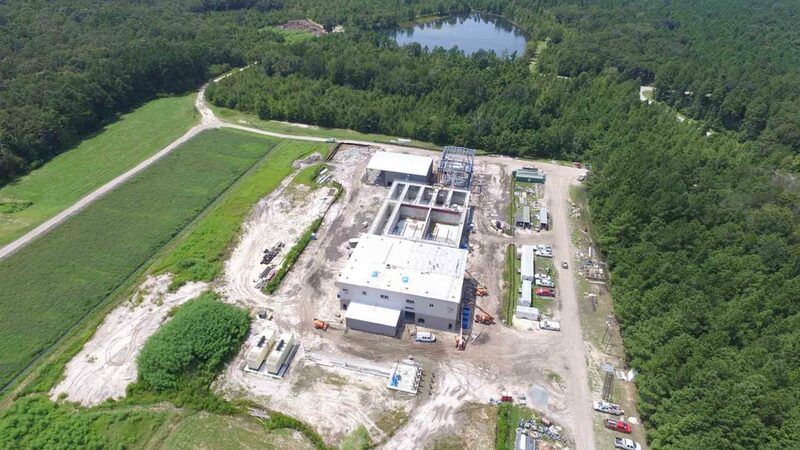 This facility represents the most current state-of-the-art design for membrane facilities, including the use of membranes for sludge thickening. 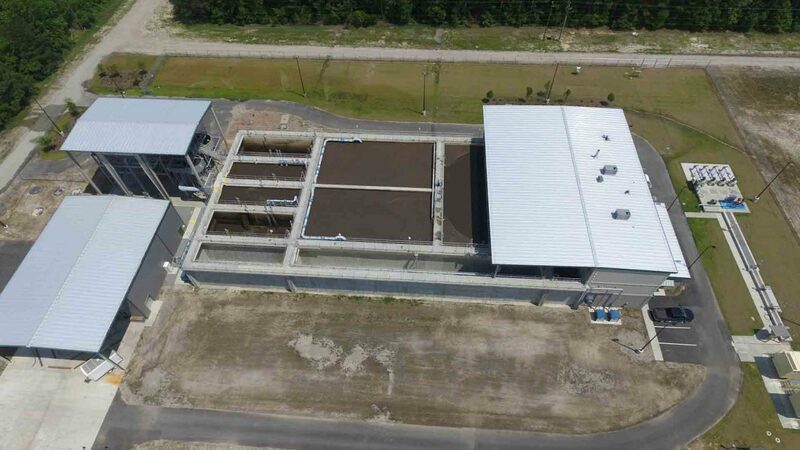 The use of complex membrane technology allowed for high-quality effluent to meet or exceed permitting requirements and provides the Yellow Zone community with a renewable reuse of reclaimed water.In 2017, the project was named an ACEC-GA State Award-Winning project. The Sterling Creek WRF is an incredible example of how a restricted water withdrawal Yellow Zone community can transform failing and non-compliant infrastructure into an opportunity by investing in an innovative, state-of-the-art treatment facility that produces a renewable resource – high quality effluent for irrigation – while still protecting a critical coastal watershed. 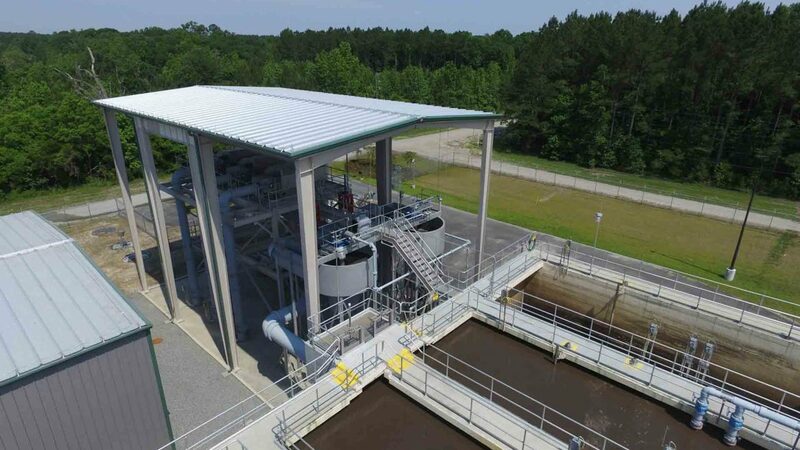 As a result of smart design and utilization of technologies, this facility produces the highest quality effluent which aids in the protection of the Ogeechee River Watershed – a watershed that drains over 5,000 square miles of land and is one of the state’s few free-flowing streams.